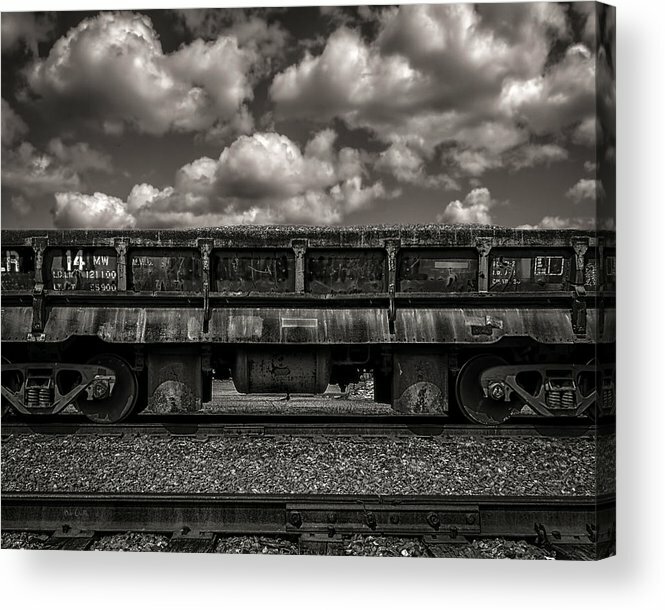 Gravel Train by Bob Orsillo - 8.000" x 6.375"
Gravel Train acrylic print by Bob Orsillo. Bring your artwork to life with the stylish lines and added depth of an acrylic print. Your image gets printed directly onto the back of a 1/4" thick sheet of clear acrylic. The high gloss of the acrylic sheet complements the rich colors of any image to produce stunning results. Two different mounting options are available, see below. Gravel Train - Original fine art black and white railroad train photography by Bob Orsillo. Copyright (c)Bob Orsillo / http://orsillo.com - All Rights Reserved. 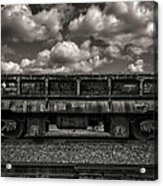 Buy art online. Buy photography online Used to carry gravel from the quarry. 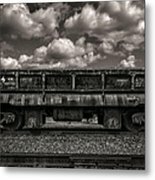 The Gravel railroad car slightly resembles a flatcar in that it is lower than boxcars and slightly higher that a flatcar with an open top. 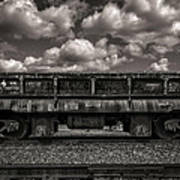 Oooh, love those clouds, and it's such a great scene and composition!! I love trains and so does my daughter! Beautiful photo, I like the old feel to it!